This exercise is to show people in a busy place. We are asked to take some time in the area we choose, which can be indoors or outdoors. Time should be taken to research the space and how people flow around the space. We can take a slow exposure if needed to show some type of movement in the people. 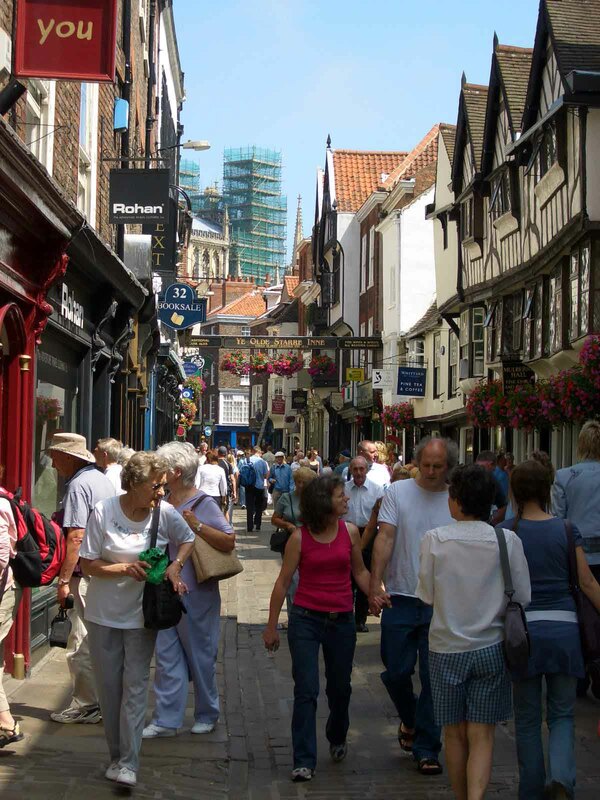 This is a busy street in York near an area called The Shambles. You can see how the people are in close proximity to each other, but all have their own agenda be it walking down the street, looking in the shop windows, searching for items in a bag or talking to partners. The tight street forces people to be very close and this in effect makes everyone slow down as rushing in this tight space may not be possible. Adding to this the old street is bending towards the middle which also brings people closer together, making the flow more into the centre part of the street. 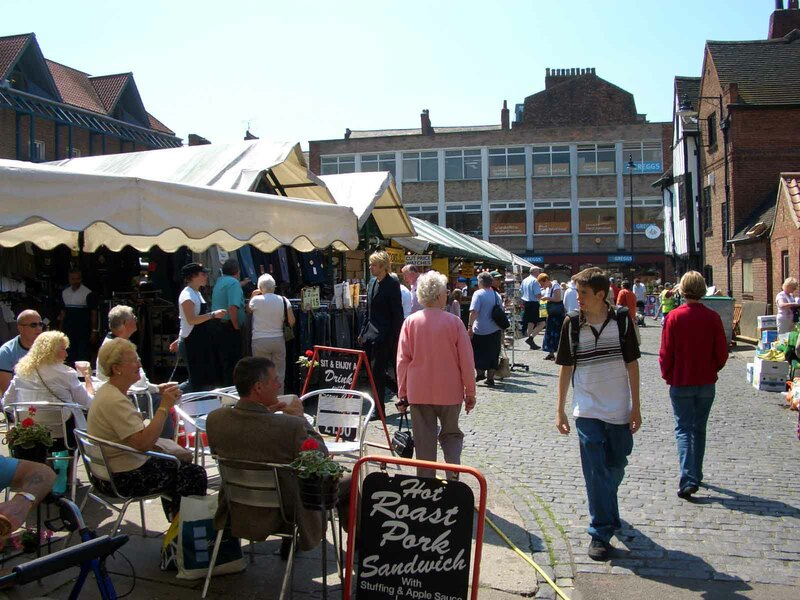 This shot of a York market shows the numerous types of buildings in the area, from old brick on either side, more modern buildings in the car and temporary market stalls. The people in the image have plenty to look at as they walk down the cobble street, from flower markets, stalls and even a place to take a break and have a pork sandwich. The area is very open in the centre, but it can be seen to filter into tight spaces as one enters the stall market area. Thankfully the closed roads will allow pedestrians to make use of the cobble street while taking in the sights. This makes the main flow of the people take to the street before branching into the enclosed stall market.